No stranger to the State House, House Minority Leader Brad Jones’ Deputy Chief of Staff Lauren Barnes recently returned to professional life on Beacon Hill. The Foxborough native and self proclaimed “townie” has worked under several Republicans who have served in the House. A Providence College graduate, Barnes majored in History and was quite active in the campus community. The number two in the Minority Leader’s office was the publicity chair of Campus Ministry/Pastoral Service Organization, the largest student organization on campus and served as copy editor for the college’s newspaper, The Cowl. She even dabbled in intramural Ultimate Frisbee but didn’t really elaborate on her level of expertise! Barnes has an interesting story pertaining to what got her involved in state government. Just a few days after she graduated college in 1999, Barnes met with her State Representative Barbara Hyland who was trying to help her make contacts with the Massachusetts Historical Society. A few days later, former Representative Hyland called and offered Lauren a job as her legislative aide. Barnes jokingly said she didn’t even know what a legislative aide did but thought it sounded interesting and quickly said yes to what she calls a great opportunity. She worked for Hyland until her retirement in 2000 and then stayed on as the legislative aide to Hyland’s successor, Representative Mike Coppola until early 2005. 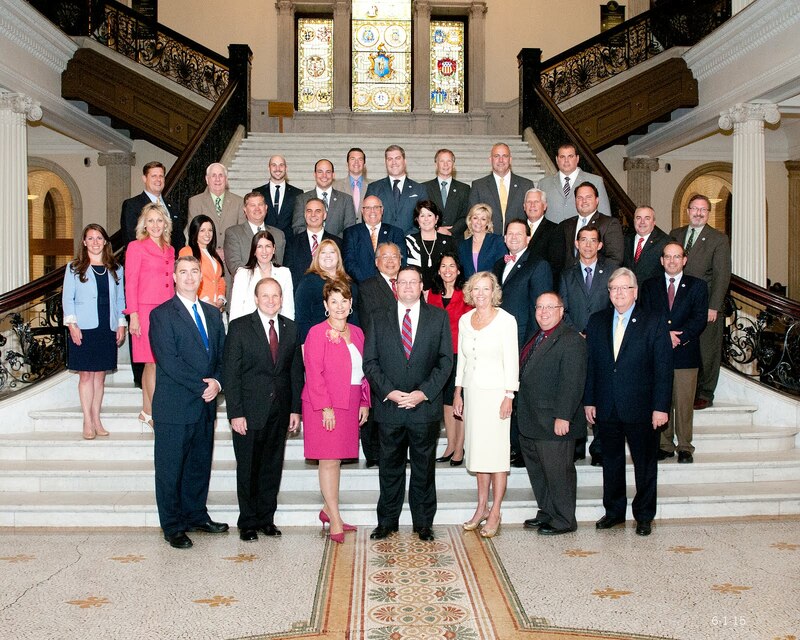 Barnes returned to the State House last October after working for four years for the Town of Mansfield. Every morning, Barnes hops on the train in Mansfield uncertain of exactly what her work day will entail. Barnes’s position includes a whole host of duties. She serves as the liaison between the Minority Leader and the Republican Caucus, manages and supervises staff and tackles special projects for the Leader and other members. Her day is busy from the time she arrives until the moment she walks down the hill to South Station. Barnes says working in state government allows her to help people and hopes to contribute to making the Commonwealth a better place to live and raise a family.